From Geoff Carter: Just found the 2nd year shot I've been searching for. 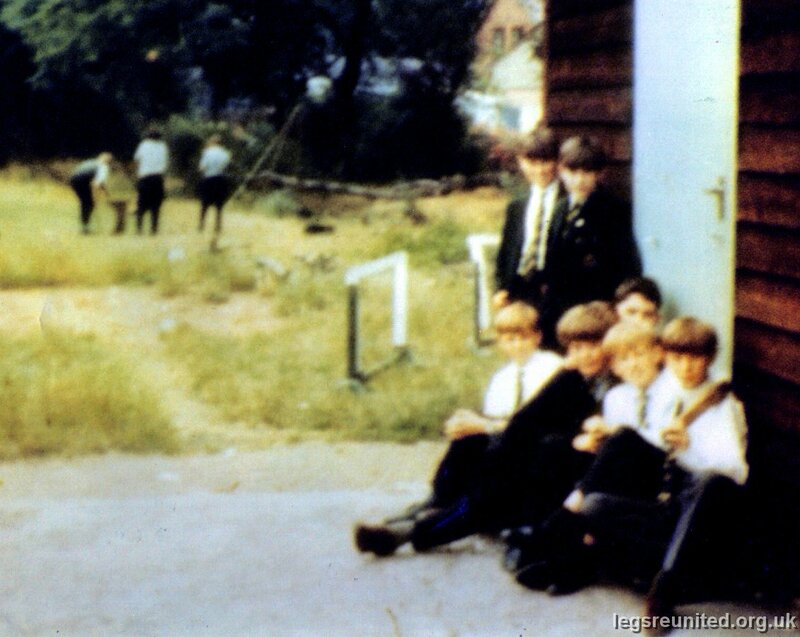 It's taken in 1964 outside hut A. Back Row: Geoff Carter, Geoff Severn. Front Row: Pete Cousins, Ian Adamson, Dave Thomas (behind), Adrian Ball, Mike Stimpson.